In all honesty, I didn’t have very high hopes for this film. Rebel Wilson isn’t necessarily my cup of tea, and so I was expecting something a little bit naff that would definitely try way too hard to be funny. Isn’t It Romantic, however, makes for rather enjoyable viewing. The satirical romantic comedy begins to the music of Roy Orbison’s Pretty Woman, and correspondingly shows a young Natalie (Rebel Wilson) watching the classic Julia Roberts chic-flick as she dreams that one day she too can meet her Prince Charming, despite her mother’s scepticism. Fast forward a couple of decades, and Natalie is working in New York as an architect but is being constantly belittled and overlooked by her peers. Her colleagues merely dismiss her as a pushover, and her best friend wants so much to sweep Natalie up into a fairy-tale chic-flick fancy which only makes Natalie express her cynicism towards her old favourite films. If you wanted some light-hearted, feel-good fun then this is the perfect film to watch snuggled up in your pyjamas with a bag of popcorn. That is, until one day Natalie suffers a nasty bang to the head during an attempted mugging. Natalie wakes from a coma in hospital to discover that is in some kind of parallel universe, and it appears she’s stepped into one of her much-hated romcoms, where men dote on her, women want to be her best friend, and every attempt at swearing is blocked by a well-timed police siren or alarm clock. Her apartment has been transformed into something from a magazine, and even her beloved bichon fries has had a makeover. This new world however isn’t all it’s cracked up to be, as, despite the undying attention she is given from work client Blake (Liam Hemsworth), Natalie increasingly finds herself pining for the love of her best friend Josh (Adam DeVine), who in said fairy-tale universe is head over heels in love with a bikini model (Priyanka Chopra). 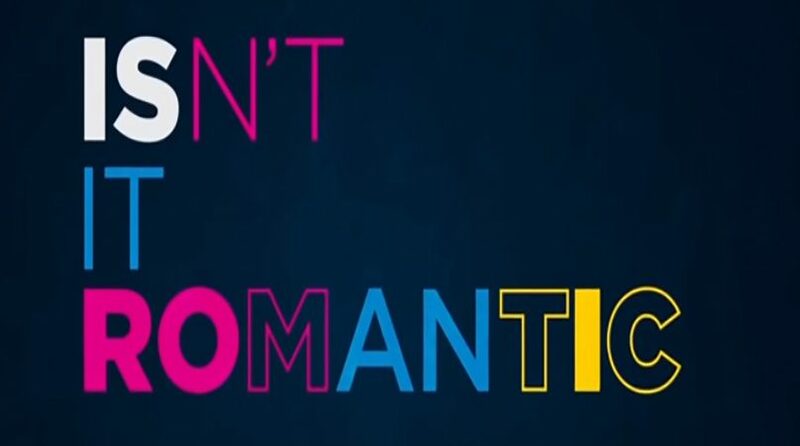 Isn’t It Romantic is a surprisingly pleasant film, in that it mocks many common notions of the genre but ultimately follows them too, such as its deeper message that you can’t expect someone to love you until you love yourself. While some attempts at humour fell flat, the film on the whole succeeded at making me laugh, and Rebel was perfectly suited to the role. If you wanted some light-hearted, feel-good fun then this is the perfect film to watch snuggled up in your pyjamas with a bag of popcorn.